This is another keeping in touch solution from those nice people at Sincerely. This App promises that you can 'mail unique, personalized greeting cards in 2 minutes from anywhere'. You start off by choosing a card from the shelf; these are arranged as featured, categories (with no less than 23 sub categories), and saved (which will be populated by you). Having chosen your basic layout, it can then be personalised. The front can have an added message, as well as a colour change, or (in some cases) one of your photographs (and with added filters for effects). The back of the card will contain your message. All you need do now is log-in, conform that it 'looks great, I'll buy', and pay. This can easily be done within the promised 2 minutes... although possibly not the first time, as your curiosity will be aroused, and you will be busy looking at lots of alternatives. The App is free but it, obviously costs to actually send the physical card. This costs $1.99 in the USA and $2.99 for most other locations. You can buy Sincerely credits and save on the total cost. There are now quite a lot of solutions for sending personalised greetings cards. This one costs far less than most but, takes longer to deliver... so plan in advance. As with other Sincerely Apps, it is extremely easy to use and works as expected. You can sign in either with Facebook, or with a Sincerely account. In exactly the same way as other Sincerely Apps, you will need to allow access to your photos and contacts, otherwise there will be nothing to send to anybody! You can also manually enter names and addresses (better for security but much more work). 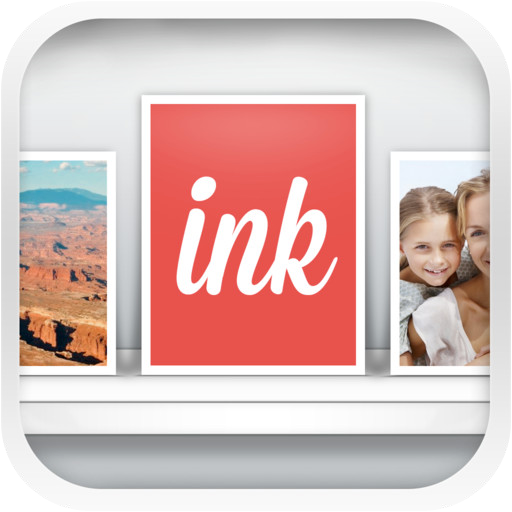 You can get Sincerely Ink here and support for the App here. The developer advises that there has been an update to version 2.2 of the App. - Scheduled delivery. Create cards now and schedule them for later. Because let’s be real, we’re all just pretending to be organized. Perfect for the holidays. - Invite friends and earn credits. Friends are awesome. Friends that let friends try Ink are amazing. - Improved address book. Add Aunt Gretchen and Uncle Ernest’s address with much more ease. Fingers crossed they won’t bring fruitcake to Christmas dinner this year. The developer advises that there has been an update to version 2.2.1 of the App. The developer advises that there has been an update to version 2.3 of the App. The developer advises that there has been an update to version 2.4 of the App. The developer advises that there has been an update to version 2.5 of the App.